Do you ever get confused with which supplements you should or shouldn't be taking? There are some specific supplements which are VERY helpful to patients with Hashimoto's and Hypothyroidism and there are a lot of others with a bunch of "hype" and no science or legitimacy backing their use. ​This should go without saying, but not all supplements are created equal. Unlike the pharmaceutical industry, the supplement industry is not regulated very well. As a result, some supplement companies have included sub-par ingredients into their supplements (less biologically active ingredients) and in some cases do not even have the quantities that they claim on the package! ​This can be frustrating for patients who don't understand this. They get and purchase cheap supplements from places like GNC, Walmart, Target or Walgreens and they don't feel any different after taking them. Afterward, they feel like supplements either don't work or they are a waste (or both). And they are (or rather, they can be). Unless you get HIGH-quality ingredients from reputable high-quality brands. When patients use HIGH-quality supplements that are targeted to their nutritional deficiencies the results can be very impressive. In this article, when I make a recommendation you can rest assured that the brands I recommend are high-quality and the same ones that I use in my office. These brands and exact supplements have worked well for me in treating over a thousand patients. Before we jump into which supplements are the best and why we need to talk about the approach that I take when recommending supplements. In general, I don't recommend the shotgun approach. Where you take supplements because your friend did or you read online that it helps with every condition under the sun. Supplements can be very helpful, but they need to be used correctly. This approach makes targeted supplementation a VERY powerful ally when treating Hypothyroidism and Hashimoto's. In my office, I use a Comprehensive Functional Blood Chemistry Panel to find nutrient deficiencies in EACH patient. And this is the ideal approach. However, it isn't always necessary. Sometimes, certain nutrient deficiencies can be assumed based on your symptoms. Other times you can order direct labs to assess nutrient status. In some cases (such as Zinc and Selenium), the best way to test for a deficiency is to use a trial of the supplement! When you read through this list keep all of these in mind. Zinc happens to be one of the top 5 most common nutrient deficiencies among all groups of patients including those with Hashimoto's. There is a good chance that your zinc levels are low which means that supplementing may be beneficial for you. But before you run out and supplement, you need to first consider the various types of Zinc available. Not all formulations of Zinc are equally effective because they are not all equally absorbed. Studies have shown that Zinc bound to picolinic acid or Citrate (1) have superior absorption when compared to other forms. For this reason, and because Hashimoto's patients often have gut issues, you'll want to find zinc in either formulation. Plays an important role in hair growth - while not important to thyroid function itself, this is still very important for those who suffer from hair loss! Dosing Zinc depends on Zinc status in your body. For those who are severely Zinc deficient, you may want to use doses as high as 30 to 60 mg per day. For those on a maintenance dose (those who have repleted Zinc stores) a dose of 5mg is typically sufficient. You'll also find that you are probably getting Zinc already from multiple sources such as protein powders and multi-vitamins. I find better success when using Zinc in combination with Selenium and other nutrients such as iodine. By using them together you get a synergistic effect which is greater than just using Zinc by itself. Use Zinc in the morning (or night) and take doses ranging from 5mg to 60mg per day. Do not take with your thyroid medication (if you are taking any). Selenium is another fantastic nutrient and supplement for those with Hashimoto's or thyroiditis of any type. Selenium has been shown in some studies to reduce inflammation and antibody levels in patients with Hashimoto's. And this is important whether your antibody levels are elevated or not. Because it is estimated that about 90% of patients with Hypothyroidism (4) have autoimmune thyroiditis as the cause of their hypothyroidism, even if antibody levels are negative in the serum. That means there is a good chance that your hypothyroidism is caused by an autoimmune disease and you may benefit from looking at your immune function. There is a potential risk of Selenium toxicity if you use too much. Because of this, your daily dose should not exceed 400mcg per day. I find that most people are fine with somewhere between 50 to 150mcg per day. Some individuals with Hashimoto's do well on higher than normal doses (up to 400mcg per day) so you might want to experiment with these higher doses if you don't find benefit at lower doses. After testing Hundreds of Hypothyroid and Hashimoto's patients I've never found a patient that didn't also have adrenal related problems. The degree of adrenal fatigue may vary from mild to severe, but almost every patient has it to some degree. For this reason, I recommend that adrenal support be a part of most hypothyroid (including autoimmune thyroiditis) treatment plans. The adrenals and thyroid function are intricately linked. 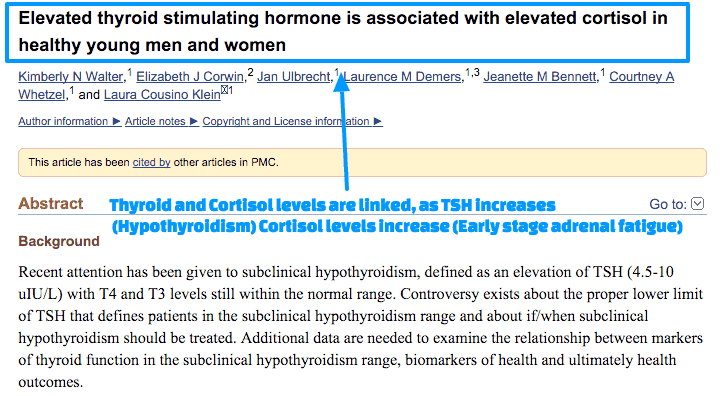 As TSH levels increase, cortisol levels increase as well. Your body uses a combination of cortisol and thyroid hormone to control metabolism and energy production. When one system isn't working as intended the other increases to pick up the slack. In the case of hypothyroidism, cortisol increases to keep pace while thyroid hormone is low. Unfortunately, this can't and won't last forever. Because almost everyone can relate with one or more of the following symptoms, I recommend treatment for Adrenal fatigue in most Hypothyroid patients. I find glandulars to be more effective in patients with extreme adrenal fatigue. They seem to cause an immediate boost to energy while supplying critical nutrients, such as enzymes and hormone precursors, to help the adrenals repair themselves. 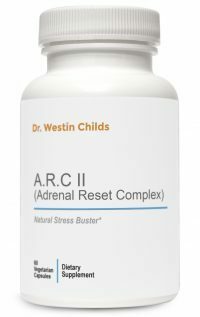 Adrenal glandulars can be used for both low and high cortisol. *Note that my preferred adrenal supplement is a Glandular. I find that this works the best in hypothyroid patients. Adrenal adaptogens help the body tolerate day to day stress levels. I find these may be necessary to use in combination with Glandulars, and in some patients, I prefer a combination of the two. Adaptogens are plant-based compounds which help the adrenal glands in an indirect way by reducing the impact stress has on your body. Adaptogens can be used for both low and high cortisol (they help balance cortisol). Phosphatidylserine can help attenuate (or lower) cortisol levels in patients with HIGH serum am cortisol (or elevated salivary/urinary levels). This supplement should only be used if you have HIGH cortisol levels. Not all patients will need cortisol testing prior to using these supplements, but you can utilize these tests if they are available to you. You have many options when it comes to cortisol testing but I routinely recommend starting with serum cortisol and then moving to salivary or urinary cortisol only if necessary. Just like supplements, not all probiotics are created equal! In my patients with Hashimoto's, I prefer to use high potency probiotics which contain at least 10+ different species. This variety in probiotic species more rapidly helps improve intestinal bacterial concentration and helps improve immune function more rapidly. Another added bonus is that high doses of probiotics also tend to work better for patients who are trying to lose weight. The right probiotics can also help promote regular stooling which is ideal for those who suffer from constipation from low thyroid function. About 20% of thyroid hormone (7) is converted in the gut! This means that a large portion of thyroid hormone is activated in the gut. If you are experiencing any inflammation or gut imbalance, then you may see that 20% decrease down to something less desirable. The net effect will be a reduction in free thyroid hormone and persistent symptoms. Most people with Hashimoto's will benefit from the use of probiotics. A trial of probiotics should be undergone if you have elevated antibodies and especially if you have abdominal/gut symptoms. You don't necessarily need to use probiotics every day, but a short burst of high-potency probiotics may help with both immune function and weight loss. I typically recommend probiotic use off and on for people with Hashimoto's every few months. *Update: While Vitamin D is still very important for your overall health I now recommend attempting to get all of your vitamin D naturally through sunlight. This can be augmented with daily supplementation of no more than 1,000 IU's per day. New research shows that you can increase your vitamin D with supplements but simply forcing your Vitamin D higher doesn't show clinical benefit. Vitamin D is another one of the 5 most common nutrient deficiencies that I see in my patients. Unless patients are supplementing with it already (and in very FEW other cases), I almost always find that Vitamin D levels are low. Many patients, even those that work in the sun, wonder why their Vitamin D levels are so low. ​How many people actually meet those criteria? And that's why I recommend that most patients take Vitamin D as a supplement. I don't, however, recommend blindly taking Vitamin D.
Please get your levels checked before supplementing as there are downsides to over supplementing. It is estimated that around 1 billion (8) (yes that's BILLION) people suffer from vitamin D deficiency. In addition to these amazing benefits low levels of Vitamin D can actually make your hypothyroidism worse (10)! Because of this, I recommend that EVERY patient gets their Vitamin D levels checked and that they supplement with Vitamin D to achieve a blood level around 50 ng/ml (My updated recommendation is to check your Vitamin D and aim for the same level, but while only using a low dose of D3). In my experience patients with Hypothyroidism tend to do better on Liquid Vitamin D due to the potential for absorption issues (this is still true). 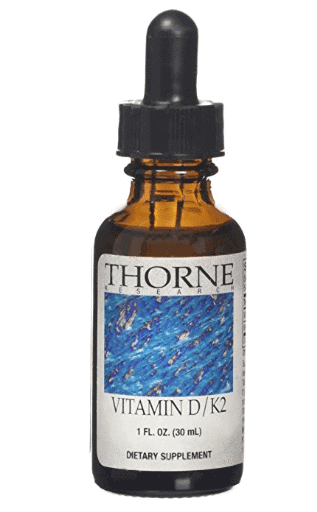 I also recommend the use of vitamin K2 in addition to Vitamin D3 due to potential issues with calcium regulation which can occur if your dose of D3 is excessive. ​Vitamin B12 is very important for patients with Hypothyroidism and Hashimoto's. Thyroid hormone is required for proper stomach acid production and stomach acid is required for proper B12 absorption. Low thyroid hormone = low stomach acid = high risk of developing vitamin B12 deficiency. ​In addition to the mechanism mentioned above patients with Hashimoto's are at increased risk for developing the autoimmune condition of pernicious anemia. Recall that having 1 autoimmune disease puts you at risk for developing other autoimmune diseases. This is another mechanism by which hypothyroid patients may be at risk for developing vitamin B12 deficiency. When you combine these 2 mechanisms some studies show that up to 40% of hypothyroid patients are ﻿vitamin B12 defici﻿ent (11). In addition to being deficient, it can also be hard to diagnose as standard laboratory studies don't differentiate between cellular deficiency and serum deficiency. Many patients may have so-called "normal" serum B12 levels but still, experience the signs and symptoms of B12 deficiency that then improve with proper replacement therapy. Some patients even report an improvement in vitamin B12 at supraphysiologic levels of vitamin B12. Supraphysiological levels refer to higher than normal levels - and indeed some patients simply respond better to these levels. I have many personal patients who notice increased energy levels with vitamin B12 shots and simply continue to use them despite higher than normal serum levels of B12. ​Replacing Vitamin B12 is very important because many of the symptoms of B12 deficiency may mimic symptoms of hypothyroidism. ​If you have any of the symptoms above, are still symptomatic after starting thyroid hormone or have low levels of vitamin B12 as indicated by laboratory testing then supplementing should be something to seriously consider. 1. Diagnosing vitamin B12 deficiency can be difficult with serum markers so make sure that you check more than just serum B12. Serum levels only indicate how much B12 is in the blood not how much is actually getting into the cells. 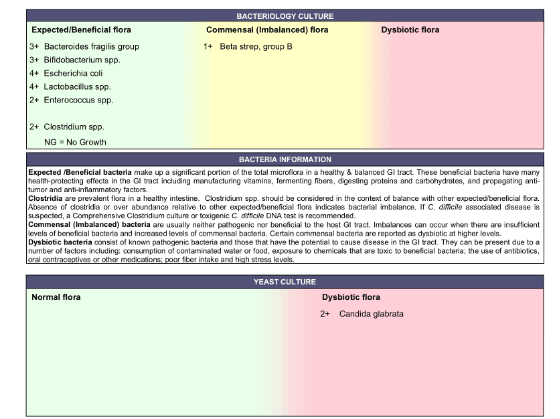 Use the markers below to help with testing and determining if you are deficient. 2. I've found that patients with Hypothyroidism and Hashimoto's do far better on B12 injections over oral forms of B12. Theoretically, sublingual B12 should offer similar absorption as B12 injections but in my experience, this just isn't true. Any values outside of this range (or if you are experiencing the symptoms of B12 deficiency) then a trial of B12 may be appropriate. One problem with testing for B12 is that it is highly inaccurate, so it's possible that your serum levels may be "normal" even though you are actually still deficient. For this reason, it may be wise to trial a B Complex and assess how you feel before and after. Take 2 capsules of methylcobalamin each day combined with other pre-methylated B vitamins in a highly absorbable and powerful B complex. If you are severely deficient in Vitamin B12 you may need to use Methylcobalamin injections (B12 shots). Methylated formulations of B12 and V vitamins are safe if you have the MTHFR genetic defect. High-quality, deep sleep tends to be underrated in terms of its importance for overall health. When I create treatment plans for patients I make improving sleep a priority, so high on the list that the first month is dedicated to improving sleep if it is lacking. Low quality sleep will increase inflammatory l﻿evels (12), increase blood sugar levels (13), decrease the body's ability to lose weight (14) and overall decrease how quickly patients can get results. Not only this but sleep plays an important role in regulating your immune system. Decreased sleep may cause an increased risk of TRIGGERING autoimmune disease (15). In addition, some studies show that lack of sleep leads to an increase in TSH (16) and an increase in circulating levels of thyroid hormone. ​If your sleep is suffering then you absolutely need to focus on it and make it a PRIORITY. It's just as important (if not more important) than supplementing with active thyroid hormone. So how do you know if you need to work on improving your sleep? The truth is that most patients who don't get enough sleep know it and generally know they need to do something about it. 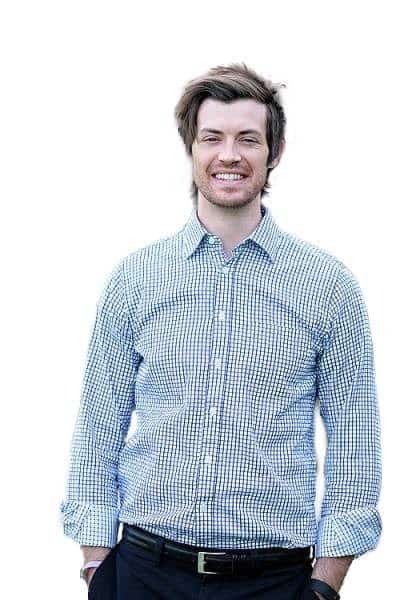 I've personally dealt with sleep-related issues and know just how much even 1-2 hours of sleep loss can impact the body's ability to function. Much of the tips I discuss below I actually personally use to improve my overall quality of sleep. With that in mind, I want to focus on just a couple of tips that may improve your depth and quality of sleep. Please note that this is just the beginning, and various factors including hormone imbalances, anatomical issues, medications, etc. can all be impacting the quality of your sleep and may need to be addressed. For more difficult cases consider the addition of melatonin + 5-HTP, start with 1-3mg of melatonin and don't be afraid to use melatonin if you need it. I've found through urinary testing that MANY patients with sleep issues have low nighttime levels of melatonin. For more difficult cases consider using serotonin and GABA potentiators. These supplements help enhance GABA and serotonin neurotransmitters in the brain and help induce deep sleep. Patients with hypothyroidism and Hashimoto's are at increased risk for developing GI related issues - usually related to decreased motility from lack of thyroid hormone. Thyroid hormone helps to increase intestinal motility which promotes natural breakdown of nutrients and promotes normal levels of bacteria in the small intestines. When you have a lack of thyroid hormone circulating in the blood you are more prone to developing conditions like constipation, SIBO, SIFO, and acid reflux. If your GI tract isn't moving properly you will have constipation (too much movement would lead to diarrhea as is seen in hyperthyroidism). If you over digest your food you allow more bacteria to feed off of it promoting SIBO and SIFO. If your intestines slow down acid stays in your stomach longer which increases the risk of developing acid reflux. In addition to all of these, it's important to realize that a majority of T4 is also converted in the GI tract. As a result, GI related issues (like those discussed above) may necessarily decrease T4 to T3 conversion. Downstream these GI issues also result in decreased nutrient absorption due to changes in HCL and increased risk for developing sub-clinical nutrient deficiencies (most notably iron and B12 deficiency). For this reason, it's essential to treat and reverse these GI conditions as they arise. Some GI conditions WILL require the addition of thyroid hormone to completely eliminate. That's just the way it is. If you have decreased motility due to lack of thyroid hormone potentiating your SIBO, simply taking herbal antibiotics will NOT fix the problem. So in addition to the therapies recommended below make sure to treat the underlying cause (if possible), but the management of these conditions is also very important. Don't take the shotgun approach to GI health and supplementation. Target your supplements at the GI problem you are experiencing: Constipation, SIBO, gas/bloating, chronic diarrhea, etc. Iodine gets a lot of attention in patients with hypothyroidism (especially with Hashimoto's). Generally speaking (in most patients) taking Iodine is safe as long as it is coupled with adequate selenium supplementation. I have however seen a handful of patients with Hashimoto's who have experienced negative symptoms after using iodine. But these cases all occurred in people who were using high doses of iodine without selenium or other nutrients. My experience suggests that iodine is both safe and necessary even for those with Hashimoto's. Your body can't create iodine which means you must get it from your diet or from supplements. With that in mind I recommend proceeding with caution, and whenever possible to start low and go slow with iodine while avoiding high doses (higher than 1mg per day). The concerns over radiation contamination and heavy metal contamination with sea sources of iodine are largely overblown. You can learn more about why that is here. Doses of around 75mcg to 150mcg per day are optimal for human health. Always use selenium with iodine to avoid harmful reactions. Note: If you are using my recommended T3 conversion booster then you don't need to supplement with additional iodine. ​If you have Hashimoto's then there are some supplements that can make a huge impact on your overall health. As I mentioned above it's best to target your supplements based on your own personal nutrient deficiencies, but in the absence of a Comprehensive functional blood chemistry panel - these supplements will definitely help. ​I want to hear from you! What supplements have you tried for your Hashimoto's or Hypothyroidism? What has worked the best for you? Help other patients out by giving your advice below!